K.J. Howe, Mint Hotel executive and longtime Mint 400 Race Director, seen here with the official Mint Hotel off road vehicle. 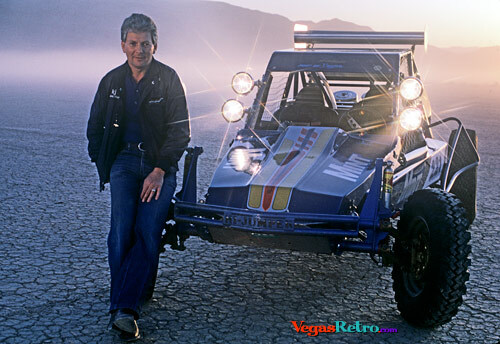 Taken at the dry lake at Stateline, Nevada in 1984, KJ was on set for the annual photo shoot of the new Mint 400 Queens. Miss you and your "ExcitMINT' Thank you for the memories!